Before I say anything, I want to say out aloud I love this month’s box! amika Dry Shampoo – yet to try but packaging is super cute! Dr. Jart + Ceramidin Cream – this is a great dupe for Priori Barrier Repair Complex, very lightly fragranced and easily absorbed in skin. Considering a full size purchase. 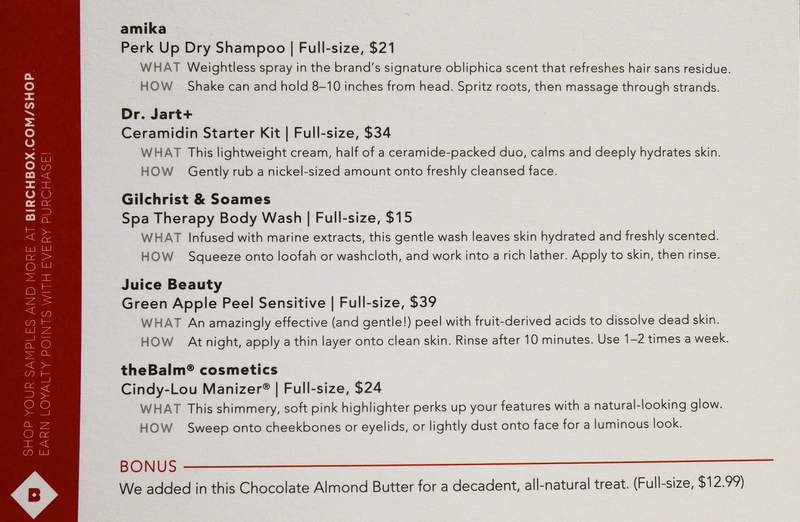 Gilchrist & Soames – what…why Birchbox? This was one sample that seemed like a complete cop out with no effort. Mehhh but who doesnt use a body wash?! The scent of this body wash would be an acquired taste, not my cuppa! Juice Beauty Green Apple Peel Sensitive – I was really looking forward to this one in particular, I have been curious about this product for a while. World knows I’m an AHA junkie so this product ticks all boxes ingredients wise. On application no tingling sensation on my skin, it felt tight as it dried but not uncomfortable at all. When I washed my face with cold water my skin was red which barely lasted for 3-4mins. Very curious to try the full strength one. the Balm Cindy Lou-Manizer – little goes a very long way! Love using this as a highlighter when I’m wearing peachy toned blush. Yet to devour the delicious sample of Almond Butter. 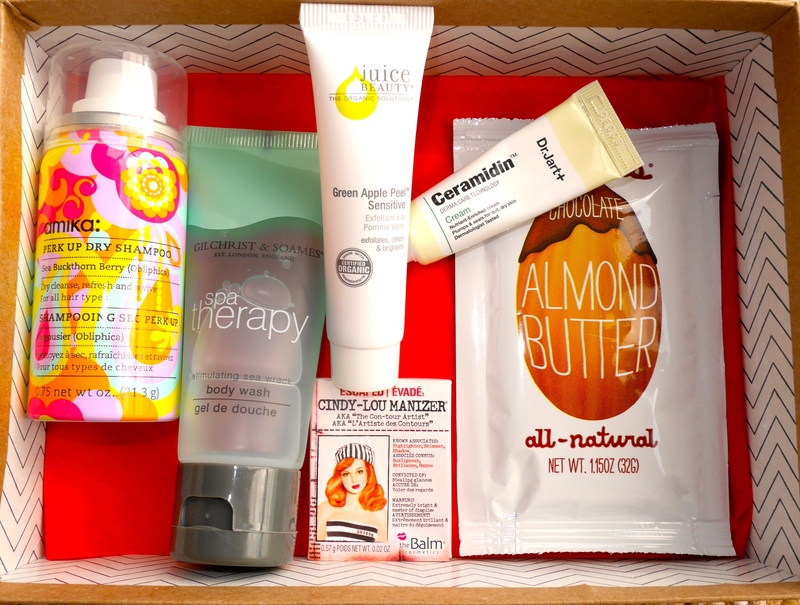 Did you Like or Love your box this month? Happy Weekend my lovelies ….. I think we got the same box :0) Fun, fun. Really? Do you like yours?